Ukrainian intercontinental ballistic missile. The Soviet Union's first practical ICBM, a two stage vehicle using storable propellants. Development began in 1956 and the missile was in service from 1962 to 1974. Peak deployment consisted of 186 launchers, about a third of them in missile silos, the rest in fixed 'soft' installations. AKA: 8F17;8K64;Saddler;Sheksna-N;SS-7 Mod 1. Status: Retired 1972. First Launch: 1960-10-24. Last Launch: 1961-12-02. Number: 22 . Payload: 1,475 kg (3,251 lb). Thrust: 2,221.30 kN (499,368 lbf). Gross mass: 140,600 kg (309,900 lb). Height: 30.44 m (99.86 ft). Diameter: 3.00 m (9.80 ft). Span: 3.00 m (9.80 ft). Apogee: 1,000 km (600 mi). The Soviet leadership recognized that Korolev's missile designs were expensive and impractical for military purposes. Therefore as early as 17 December 1956 Yangel was ordered to start work on development of a storable-propellant alternative to Korolev's R-7 ICBM, with trials planned for June 1961. The draft project was completed in November 1957 and reviewed by an expert commission in January 1958. The work was ordered accelerated on 28 August 1958. 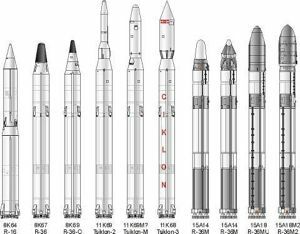 A 13 May 1959 decree authorized Yangel to begin work on the R-14 MRBM and R-16 ICBM, and Korolev to start advanced development of the competing R-9 design. Such was the urgency to obtain usable quick-reaction ballistic missiles to replace the R-7, the decree specifically prohibited Yangel from further work on SLBM's. This was later extended to surface-to-air missiles and cruise missiles, forcing him to concentrate on providing the Soviet Union with a credible nuclear deterrent. 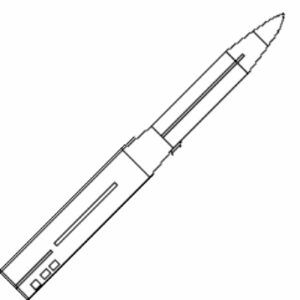 Yangel sold his ICBM concept to the leadership as simply his R-12 IRBM serving as the second stage to his R-14 MRBM. 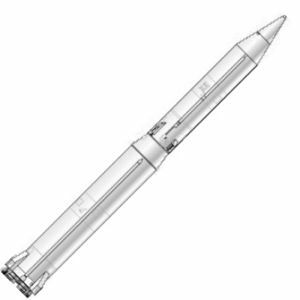 In fact substantial redesign and repackaging of all elements, and new propellants were necessary to provide a viable ICBM. Construction began of LC-41 and LC-42 at Baikonur in the spring of 1960. LC-41 would be used for experimental and test launches, and LC-42 to prove tactical systems. Stand tests of the first and second stages started at Zagorsk in August 1960. Yangel's new MIK assembly building at Baikonur received the first flight missile in September. This On 24 October 1960 the first R-16 prototype was fuelled and on the pad, awaiting launch. An electrical problem developed, leading to a hold. Marshal Nedelin, commander of the Strategic Rocket Forces, ordered the engineers and technicians to fix the problem without the long delay of defueling and refurbishing the missile. He personally had a deck chair brought out to the pad so he could watch the work first-hand. At 18:45 local time a spurious radio signal ordered the second stage of the rocket to fire while workers swarmed around the missile in its gantry. The missile exploded, killing a good part of the Soviet Union's rocket engineering and management talent. Among the dead were Nedelin, Konopalev (designer of the missile's guidance system), Grishin (deputy chairman of GKOT), Nosov (chief of launch command at Baikonur), and OKB-586 engineers Kontsevsky and Lev Berlin. 74 people were killed immediately, and 48 died in the ensuing weeks from burns or contact with the toxic and corrosive propellants. The total included 38 civilian engineers and 84 officers and enlisted rocket technicians. Nevertheless the program was of such high priority that development continued. The next launch attempt, on 2 February 1961, was a failure, with the missile impacting only 520 km from the launch site. But a successful first launch was achieved 20 days later. The missile obtained preliminary acceptance for military use on 20 October 1961, in order to get production lines started. Following the first trials series the missile was fully accepted for military service on 15 June 1963. This first pad-launched version used the Sheksna-N launch complex. This consisted of two launch pads, a command point, a vehicle preparation base, and a propellant farm. In service an R-16 regiment consisted of three launch pads. Development of a more militarily useful silo-based version of the missile had been authorized on 14 June 1960. The R-16U missile designed for this purpose could be used for either pad or silo launch. This version was accepted for service on 15 July 1963. These were deployed in groups of three silos, controlled from a single command center and separated by 8 to 10 km. Series production of the missile had begun in 1961 at Factory 586 in Dnepropetrovsk and Factory 166 in Omsk. 186 8P864 pad launchers were originally built for the R-16 in 1961-1965. One third of these were later moved to hardened silos as these became available. The first R-16 regiments became operational at Nizhniy Tagil, Yurya and Baikonur on 1 November 1961, followed by LC-6, LC-7 and LC-8 at Plesetsk between 15 January and 13 June 1962. By the end of 1962 26 launchers were in service, by 1964 153 launchers, and peak deployment of 186 R-16/R-16U pad and silo launchers was attained in 1965 and maintained until 1974. The R-16 had by then long since outlived its operational usefulness but served as a useful bargaining chip in the SALT-1 Strategic Arms Limitation Treaty negotiations with the United States. Under the treaty, the R-16 launchers were demolished in 1974-1977 in such a way that their uselessness could be verified by American photo-reconnaissance satellites. Total deployment declining to 138 missiles by the end of 1976. The final R-16U silo was demolished in 1978. Although having a number of operational drawbacks, the R-16 was the only weapon that provided the Soviet Union with a credible nuclear deterrent between 1962 and 1967, when the UR-100 and R-36 surpassed it in numbers deployed. This was the first operational ICBM using storable propellants, and it could be held in fuelled launch readiness for up to 30 days before having to be defueled and refurbished. To assure warhead accuracy solid rocket engines braked the second stage away from the re-entry vehicle after separation. The three variants of thermonuclear warheads were designed by Samuel Kocharyaits. The all-inertial guidance system was designed by B M Konopalev at NII-692 and had a total mass of 440 kg (152 kg of avionics in the first stage and 288 kg in the second). Glushko built the RD-218/RD-219 main engine assemblies for the 8S81 first and 8S82 second stages, but Yangel's OKB-86 itself had to develop the small vernier engines in each stage used for steering and velocity trim. These were the RD-68, with 4 thrusters and a total thrust of 380 kN in the first stage, and RD-69, with 4 thrusters totaling 49.2 kN in the second stage. The vehicle was loaded with a total of 130 metric tons of AK-27I Nitric acid / UDMH propellants. Gaseous oxygen was used for oxidizer tank pressurization. Maximum range: 13,000 km (8,000 mi). Number Standard Warheads: 1. Standard RV: 8F17. Warhead yield: 3,000 KT. CEP: 2.70 km (1.60 mi). Alternate warhead: 2,175 kg (4,795 lb). Maximum range with alternate warhead: 11,000 km (6,000 mi). Number Alternate Warheads: 1. Alternate RV: 8F115 or 8F116. Alternate warhead CEP: 2.23 km (1.38 mi). Boost Propulsion: Storable liquid rocket, IRFNA/UDMH. Cruise engine: RD-219. Initial Operational Capability: 1962. Stage 1. 1 x R-16 Stage 1. Gross Mass: 110,000 kg (240,000 lb). Empty Mass: 10,000 kg (22,000 lb). Thrust (vac): 2,609.500 kN (586,639 lbf). Isp: 289 sec. Burn time: 106 sec. Isp(sl): 246 sec. Diameter: 3.00 m (9.80 ft). Span: 3.00 m (9.80 ft). Length: 16.00 m (52.00 ft). Propellants: Nitric acid/UDMH. No Engines: 1. Engine: RD-218. Status: Out of Production. Comments: Range 12,000 km. Tsniimash has 1:10 structural simulation model. Two stage ICBM with nitric acid oxidizer. Developed 1956-1961. Entered service 1961. Chief designer Yangel. Source: Placard, TsNIIMASH. Stage 2. 1 x R-16 Stage 2. Gross Mass: 27,000 kg (59,000 lb). Empty Mass: 3,000 kg (6,600 lb). Thrust (vac): 882.100 kN (198,304 lbf). Isp: 293 sec. Burn time: 80 sec. Diameter: 2.40 m (7.80 ft). Span: 2.40 m (7.80 ft). Length: 13.00 m (42.00 ft). Propellants: Nitric acid/UDMH. No Engines: 1. Engine: RD-219. Status: Out of production. Comments: Range 12,000 km. Tsniimash has 1:10 structural simulation model. Two stage ICBM with nitric acid oxidizer. Developed 1956-1961. Entered service 1961. Chief designer Yangel. Source: Placard, TsNIIMASH. R-16U Ukrainian intercontinental ballistic missile. Standardized version of R-16, for either pad or silo launch. 64S5 Ukrainian intercontinental ballistic missile. Space launch version, never went beyond design stage. Family: ICBM. Country: Ukraine. Engines: RD-218, RD-219, RD-852, RD-68, RD-69, RD-851. Spacecraft: Vostok. Launch Sites: Baikonur, Baikonur LC41/3, Baikonur LC41/4. Stages: R-16-1, R-16-2. Agency: Yuzhnoye. Bibliography: 153, 18, 193, 2, 474, 475, 476, 89. 1956 December 17 - . Launch Vehicle: R-16. Development of the R-16 ICBM is authorised. - . Nation: Russia. 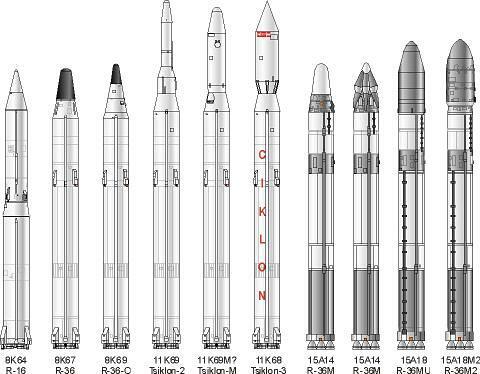 Council of Soviet Ministers (SM) Decree 'On the Creation of the Intercontinental Ballistic Missile R-16 (8k64) with Start of LKI in June 1961--start of work on the R-16 ICBM' was issued..
1958 August 28 - . Launch Vehicle: R-16. R-16 development accelerated. - . Nation: Russia. Decree 'On expansion of work on the R- 16 ICBM' was issued..
1960 February 22 - . Launch Vehicle: R-16. State Commission to oversee R-16 tests established. - . Nation: Russia. Council of Soviet Ministers (SM) Decree 236-89 'On creation of the State Commission for the R-16 ICBM' was issued..
1960 June 14 - . Launch Vehicle: R-16. Development of Silo-Launched IRBM's and ICBM's approved. - . Nation: Russia. State Committee for Defence Technology (GKOT) Decree 'On creation of shaft units (silos) for the R-12, R-14, R-16, and R-9 missiles' was issued..
1960 October 24 - . 15:45 GMT - . Launch Site: Baikonur. Launch Complex: Baikonur LC41/3. Launch Vehicle: R-16. FAILURE: Exploded on pad, killing nearly 100 people..
Nation: Russia. Agency: RVSN. Apogee: 0 km (0 mi). First attempted launch of R-16 ICBM results in explosion on pad, killing over 100 military, engineers, and technicians, including Strategic Rocket Forces Marshal Nedelin. The first R-16 prototype was fuelled and on the pad, awaiting launch. An electrical problem developed, leading to a hold. Marshal Nedelin, commander of the Strategic Rocket Forces, ordered the engineers and technicians to fix the problem without the long delay of defuelling and refurbishing the missile. He personally had a deck chair brought out to the pad so he could watch the work first-hand. At 18:45 local time a spurious radio signal ordered the second stage of the rocket to fire while workers swarmed around the missile in its gantry. The missile exploded, killing a good part of the Soviet Union's rocket engineering and management talent. Among the dead were Nedelin, Konoptev, Grishin, Nosov, Kontsevsky, and Lev Berlin. 74 people were killed immediately, and 48 died in the ensuing weeks from burns or contact with the toxic and corrosive propellants. The total included 38 civilian engineers and 84 officers and enlisted rocket technicians. Yangel, the rocket's designer, was spared only because he had slipped into a bunker for a cigarette when the explosion occurred. 1961 February 2 - . 19:00 GMT - . Launch Site: Baikonur. Launch Complex: Baikonur LC41/4. Launch Pad: LC41/pad?. Launch Vehicle: R-16. FAILURE: Failure..
First successful R-16 launch. - . Nation: Russia. Agency: RVSN. Apogee: 0 km (0 mi). The missile was supposed to be launched at 18:00, but is then delayed to 24:00 due to technical problems. It is a clear night, illuminated by the moon, and the missile takes off at midnight. The first three minutes of flight are successful, but then the second stage fails to ignite. The missiles impacts 520 km downrange from the launch pad. 1961 March 3 - . 13:59 GMT - . Launch Site: Baikonur. Launch Complex: Baikonur LC41/4. Launch Pad: LC41/pad?. Launch Vehicle: R-16. Test mission - . Nation: Russia. Agency: RVSN. Apogee: 1,210 km (750 mi). 1961 April 2 - . 14:06 GMT - . Launch Site: Baikonur. Launch Complex: Baikonur LC41/4. Launch Pad: LC41/pad?. Launch Vehicle: R-16. First full range R-16 flight. - . Nation: Russia. Agency: RVSN. Apogee: 1,210 km (750 mi). The R-16 carried a warhead to the impact zone in the Kamchatka Peninsula, only 400 m off target in range, and only 50 m to the right..
1961 April 15 - . 13:58 GMT - . Launch Site: Baikonur. Launch Complex: Baikonur LC41/4. Launch Pad: LC41/pad?. Launch Vehicle: R-16. FAILURE: Failure. Test mission - . Nation: Russia. Agency: RVSN. Apogee: 0 km (0 mi). 1961 April 21 - . Launch Site: Baikonur. Launch Complex: Baikonur LC41/4. Launch Pad: LC41/pad?. Launch Vehicle: R-16. FAILURE: Failure. 1961 April 27 - . Launch Vehicle: R-16. R-16U silo-based ICBM operational plan issued. - . Nation: Russia. State Committee for Defence Technology (GKOT) Decree 'On the Organisation of Military Duty of the R-16U (Unified Variant)--putting the R-16U missile into operation' was issued..
1961 May 16 - . 19:23 GMT - . Launch Site: Baikonur. Launch Complex: Baikonur LC41/4. Launch Pad: LC41/pad?. Launch Vehicle: R-16. 1961 May 24 - . 03:18 GMT - . Launch Site: Baikonur. Launch Complex: Baikonur LC41/4. Launch Vehicle: R-16. FAILURE: Failure. 1961 June 2 - . 17:24 GMT - . Launch Site: Baikonur. Launch Complex: Baikonur LC41/4. Launch Vehicle: R-16. 1961 June 6 - . 18:00 GMT - . Launch Site: Baikonur. Launch Complex: Baikonur LC41/4. Launch Vehicle: R-16. FAILURE: Failure. 1961 June 16 - . 07:47 GMT - . Launch Site: Baikonur. Launch Complex: Baikonur LC41/4. Launch Vehicle: R-16. FAILURE: Failure. 1961 July 22 - . Launch Site: Baikonur. Launch Complex: Baikonur LC41/4. Launch Vehicle: R-16. FAILURE: Failure. 1961 August 9 - . Launch Site: Baikonur. Launch Complex: Baikonur LC41/4. Launch Vehicle: R-16. 1961 August 13 - . Launch Site: Baikonur. Launch Complex: Baikonur LC41/4. Launch Vehicle: R-16. FAILURE: Failure. 1961 September 1 - . Launch Site: Baikonur. Launch Complex: Baikonur. Launch Vehicle: R-16. New ICBM tests announced. - . Nation: Russia. U.S.S.R. announced that it would launch a series of "more powerful and improved rockets. (Article in Red Star timed to coincide with first firing of new rocket series in the Pacific.). 1961 September 4 - . Launch Site: Baikonur. Launch Complex: Baikonur LC41/4. Launch Vehicle: R-16. 1961 September 10 - . Launch Site: Baikonur. Launch Complex: Baikonur LC41/4. Launch Vehicle: R-16. 1961 September 13 - . Launch Site: Baikonur. Launch Complex: Baikonur LC41/4. Launch Vehicle: R-16. 1961 September 17 - . Launch Site: Baikonur. Launch Complex: Baikonur LC41/4. Launch Vehicle: R-16. 1961 September 22 - . Launch Site: Baikonur. Launch Complex: Baikonur LC41/4. Launch Vehicle: R-16. FAILURE: Failure. 1961 October 9 - . Launch Site: Baikonur. Launch Complex: Baikonur LC41/4. LV Family: R-16. Launch Vehicle: R-16U. 1961 October 11 - . Launch Site: Baikonur. Launch Complex: Baikonur LC41/4. LV Family: R-16. Launch Vehicle: R-16U. FAILURE: Failure. 1961 October 15 - . Launch Site: Baikonur. Launch Complex: Baikonur LC41/4. Launch Pad: LC41/pad?. LV Family: R-16. Launch Vehicle: R-16U. 1961 October 20 - . Launch Vehicle: R-16. R-16 accepted into military service. - . Nation: Russia. Decree 'On adoption of the R-16 into armaments' was issued..
1961 October 22 - . Launch Site: Baikonur. Launch Complex: Baikonur LC41/4. Launch Pad: LC41/pad?. LV Family: R-16. Launch Vehicle: R-16U. 1961 October 28 - . Launch Site: Baikonur. Launch Complex: Baikonur LC41/4. Launch Pad: LC41/pad?. LV Family: R-16. Launch Vehicle: R-16U. 1961 October 29 - . Launch Site: Baikonur. Launch Complex: Baikonur LC41/4. Launch Pad: LC41?/pad?. Launch Vehicle: R-16. K (OT) test - . Nation: Russia. Agency: RVSN. Apogee: 1,210 km (750 mi). 1961 November 29 - . Launch Site: Baikonur. Launch Complex: Baikonur LC41/4. Launch Pad: LC41?/pad?. Launch Vehicle: R-16. State trials missile test - . Nation: Russia. Agency: RVSN. Apogee: 1,210 km (750 mi). 1961 December 2 - . Launch Site: Baikonur. Launch Complex: Baikonur LC41/4. Launch Pad: LC41?/pad?. Launch Vehicle: R-16. FAILURE: Failure. 1962 January 4 - . Launch Site: Baikonur. Launch Complex: Baikonur LC41/4. LV Family: R-16. Launch Vehicle: R-16U. 1962 January 13 - . Launch Site: Baikonur. Launch Complex: Baikonur LC41/4. LV Family: R-16. Launch Vehicle: R-16U. 1962 January 16 - . Launch Site: Baikonur. Launch Complex: Baikonur LC41/4. LV Family: R-16. Launch Vehicle: R-16U. 1962 January 17 - . Launch Site: Baikonur. Launch Complex: Baikonur LC41/4. LV Family: R-16. Launch Vehicle: R-16U. 1962 January 25 - . Launch Site: Baikonur. Launch Complex: Baikonur LC41/4. LV Family: R-16. Launch Vehicle: R-16U. 1962 March 3 - . Launch Site: Baikonur. LV Family: R-16. Launch Vehicle: R-16U. State trials launch - . Nation: Russia. Agency: RVSN. Apogee: 1,210 km (750 mi). 1962 June 1 - . Launch Site: Baikonur. LV Family: R-16. Launch Vehicle: R-16U. 1962 June 7 - . Launch Site: Baikonur. LV Family: R-16. Launch Vehicle: R-16U. 1962 July 13 - . Launch Site: Baikonur. Launch Complex: Baikonur LC60/8. LV Family: R-16. Launch Vehicle: R-16U. FAILURE: Failure. 1962 July 21 - . Launch Site: Baikonur. LV Family: R-16. Launch Vehicle: R-16U. 1962 July 31 - . Launch Site: Baikonur. Launch Complex: Baikonur LC60/8. LV Family: R-16. Launch Vehicle: R-16U. 1962 August 8 - . Launch Site: Baikonur. LV Family: R-16. Launch Vehicle: R-16U. 1962 September 27 - . Launch Site: Baikonur. LV Family: R-16. Launch Vehicle: R-16U. 1962 October 5 - . Launch Site: Baikonur. Launch Complex: Baikonur LC60/8. Launch Pad: LC60/8?. LV Family: R-16. Launch Vehicle: R-16U. 1962 October 5 - . Launch Site: Baikonur. Launch Complex: Baikonur LC41/4. LV Family: R-16. Launch Vehicle: R-16U. 1962 October 11 - . Launch Site: Baikonur. LV Family: R-16. Launch Vehicle: R-16U. 1962 October 16 - . Launch Site: Baikonur. Launch Complex: Baikonur LC60/8. Launch Pad: LC60/8?. LV Family: R-16. Launch Vehicle: R-16U. 1962 October 17 - . Launch Site: Baikonur. Launch Complex: Baikonur LC41/4. LV Family: R-16. Launch Vehicle: R-16U. 1962 November 3 - . Launch Site: Baikonur. Launch Complex: Baikonur LC41/4. LV Family: R-16. Launch Vehicle: R-16U. Operational test launch - . Nation: Russia. Agency: RVSN. Apogee: 1,210 km (750 mi). 1962 November 22 - . Launch Site: Baikonur. LV Family: R-16. Launch Vehicle: R-16U. 1962 November 24 - . Launch Site: Baikonur. Launch Complex: Baikonur LC41/4. LV Family: R-16. Launch Vehicle: R-16U. 1962 November 25 - . Launch Site: Baikonur. Launch Complex: Baikonur LC41/4. LV Family: R-16. Launch Vehicle: R-16U. FAILURE: Failure. 1962 December 12 - . Launch Site: Baikonur. Launch Complex: Baikonur LC41/4. LV Family: R-16. Launch Vehicle: R-16U. 1962 December 13 - . Launch Site: Baikonur. Launch Complex: Baikonur LC41/4. LV Family: R-16. Launch Vehicle: R-16U. 1962 December 17 - . Launch Site: Baikonur. Launch Complex: Baikonur LC41/4. LV Family: R-16. Launch Vehicle: R-16U. 1963 March 4 - . Launch Site: Baikonur. Launch Complex: Baikonur LC41/4. LV Family: R-16. Launch Vehicle: R-16U. 1963 March 30 - . Launch Site: Baikonur. Launch Complex: Baikonur LC41/4. LV Family: R-16. Launch Vehicle: R-16U. 1963 April 26 - . Launch Site: Baikonur. Launch Complex: Baikonur LC41/4. LV Family: R-16. Launch Vehicle: R-16U. 1963 May 18 - . Launch Site: Baikonur. Launch Complex: Baikonur LC60/8. LV Family: R-16. Launch Vehicle: R-16U. Combat training launch - . Nation: Russia. Agency: RVSN. Apogee: 1,210 km (750 mi). 1963 May 18 - . Launch Site: Baikonur. Launch Complex: Baikonur LC60/7. LV Family: R-16. Launch Vehicle: R-16U. FAILURE: Failure. 1963 May 18 - . Launch Site: Baikonur. Launch Complex: Baikonur LC60/6. LV Family: R-16. Launch Vehicle: R-16U. 1963 May 25 - . Launch Site: Baikonur. Launch Complex: Baikonur LC41/15. LV Family: R-16. Launch Vehicle: R-16U. 1963 June 1 - . Launch Site: Baikonur. Launch Complex: Baikonur LC41/15. LV Family: R-16. Launch Vehicle: R-16U. FAILURE: Failure. 1963 June 15 - . Launch Vehicle: R-16. R-16 accepted into service. - . Nation: Russia. Decree 'On adoption into armaments of the R-16 surface variant' was issued..
1963 June 21 - . Launch Site: Baikonur. Launch Complex: Baikonur LC41/15. LV Family: R-16. Launch Vehicle: R-16U. FAILURE: Failure. BD - . Nation: Russia. Agency: RVSN. Apogee: 0 km (0 mi). 1963 June 28 - . Launch Site: Teikovo. LV Family: R-16. Launch Vehicle: R-16U. Nation: Russia. Agency: RVSN. Apogee: 1,210 km (750 mi). 1963 June 28 - . Launch Site: Baikonur. Launch Complex: Baikonur LC41/15. LV Family: R-16. Launch Vehicle: R-16U. 1963 June 30 - . Launch Site: Baikonur. Launch Complex: Baikonur LC60/7. LV Family: R-16. Launch Vehicle: R-16U. 1963 July 8 - . Launch Site: Baikonur. Launch Complex: Baikonur LC41/15. LV Family: R-16. Launch Vehicle: R-16U. 1963 July 9 - . Launch Site: Baikonur. Launch Complex: Baikonur LC41/15. LV Family: R-16. Launch Vehicle: R-16U. 1963 July 15 - . Launch Vehicle: R-16. R-12U, R-14U, and R-16U silo-based missiles accepted into service. - . Nation: Russia. Decree 'On adoption into armaments of the R-12U, R-14U, and R-16U shaft versions' was issued..
1963 July 27 - . Launch Site: Baikonur. Launch Complex: Baikonur LC41/15. LV Family: R-16. Launch Vehicle: R-16U. 1963 August 13 - . 04:59 GMT - . Launch Site: Baikonur. Launch Complex: Baikonur LC41/15. LV Family: R-16. Launch Vehicle: R-16U. Combat training launch - . Nation: Russia. Agency: RVSN. Apogee: 757 km (470 mi). 1963 August 20 - . Launch Site: Baikonur. Launch Complex: Baikonur LC60/8. LV Family: R-16. Launch Vehicle: R-16U. Military training launch - . Nation: Russia. Agency: RVSN. Apogee: 1,210 km (750 mi). 1963 August 30 - . Launch Site: Teikovo. LV Family: R-16. Launch Vehicle: R-16U. 1963 August 30 - . 06:30 GMT - . Launch Site: Baikonur. Launch Complex: Baikonur LC41/3. LV Family: R-16. Launch Vehicle: R-16U. T - . Nation: Russia. Agency: RVSN. Apogee: 754 km (468 mi). 1963 September 4 - . Launch Site: Baikonur. Launch Complex: Baikonur LC41/3. LV Family: R-16. Launch Vehicle: R-16U. T - . Nation: Russia. Agency: RVSN. Apogee: 1,210 km (750 mi). 1963 September 10 - . Launch Site: Baikonur. Launch Complex: Baikonur LC41/3. LV Family: R-16. Launch Vehicle: R-16U. 1963 September 26 - . Launch Site: Baikonur. Launch Complex: Baikonur LC41/3. LV Family: R-16. Launch Vehicle: R-16U. 1963 October 1 - . Launch Site: Baikonur. Launch Complex: Baikonur LC41/3. LV Family: R-16. Launch Vehicle: R-16U. 1963 October 22 - . Launch Site: Plesetsk. Launch Complex: Plesetsk PU11. LV Family: R-16. Launch Vehicle: R-16U. Groza test - . Nation: Russia. Agency: RVSN. Apogee: 1,210 km (750 mi). 1963 October 23 - . Launch Site: Baikonur. Launch Complex: Baikonur LC41/3. LV Family: R-16. Launch Vehicle: R-16U. 1963 November 22 - . Launch Site: Baikonur. Launch Complex: Baikonur LC41/3. LV Family: R-16. Launch Vehicle: R-16U. 1963 November 23 - . Launch Site: Baikonur. Launch Complex: Baikonur LC41/4. LV Family: R-16. Launch Vehicle: R-16U. State trials flight - . Nation: Russia. Agency: RVSN. Apogee: 1,210 km (750 mi). 1963 December 12 - . Launch Site: Baikonur. Launch Complex: Baikonur LC41/3. LV Family: R-16. Launch Vehicle: R-16U. 1963 December 20 - . Launch Site: Baikonur. Launch Complex: Baikonur LC41/3. LV Family: R-16. Launch Vehicle: R-16U. 1964 February 2 - . Launch Site: Baikonur. Launch Complex: Baikonur LC60/8. Launch Pad: LC60/8?. LV Family: R-16. Launch Vehicle: R-16U. 1964 February 6 - . Launch Site: Baikonur. Launch Complex: Baikonur LC41/3. LV Family: R-16. Launch Vehicle: R-16U. 1964 February 26 - . Launch Site: Baikonur. LV Family: R-16. Launch Vehicle: R-16U. FAILURE: Failure. 1964 March 3 - . Launch Site: Baikonur. LV Family: R-16. Launch Vehicle: R-16U. 1964 March 4 - . Launch Site: Baikonur. Launch Complex: Baikonur LC41/4. Launch Pad: LC41/4?. LV Family: R-16. Launch Vehicle: R-16U. 1964 March 25 - . Launch Site: Teikovo. LV Family: R-16. Launch Vehicle: R-16U. 1964 April 15 - . Launch Site: Nizhniy Tagil. LV Family: R-16. Launch Vehicle: R-16U. 1964 May 30 - . Launch Site: Baikonur. LV Family: R-16. Launch Vehicle: R-16U. 1964 May 30 - . Launch Site: Gladkaya. LV Family: R-16. Launch Vehicle: R-16U. 1964 June 7 - . Launch Site: Baikonur. Launch Complex: Baikonur LC41/4. LV Family: R-16. Launch Vehicle: R-16U. 1964 July 1 - . Launch Site: Baikonur. Launch Complex: Baikonur LC41/4. LV Family: R-16. Launch Vehicle: R-16U. 1964 July 21 - . Launch Site: Baikonur. Launch Complex: Baikonur LC41/4. LV Family: R-16. Launch Vehicle: R-16U. 1964 July 31 - . Launch Site: Baikonur. LV Family: R-16. Launch Vehicle: R-16U. 1964 August 9 - . Launch Site: Baikonur. Launch Complex: Baikonur LC41/4. LV Family: R-16. Launch Vehicle: R-16U. 1964 September 10 - . Launch Site: Baikonur. Launch Complex: Baikonur LC41/3. LV Family: R-16. Launch Vehicle: R-16U. 1964 September 25 - . Launch Site: Baikonur. Launch Complex: Baikonur LC60/8. LV Family: R-16. Launch Vehicle: R-16U. UBP Kedr operational test launch - . Nation: Russia. Agency: RVSN. Apogee: 1,210 km (750 mi). Demonstration launch witnessed by Khrushchev..
1964 September 27 - . Launch Site: Baikonur. Launch Complex: Baikonur LC41/4. LV Family: R-16. Launch Vehicle: R-16U. Climate Test operational test launch - . Nation: Russia. Agency: RVSN. Apogee: 1,210 km (750 mi). 1964 September 29 - . Launch Site: Baikonur. Launch Complex: Baikonur LC60/6. LV Family: R-16. Launch Vehicle: R-16U. 1964 October 11 - . Launch Site: Baikonur. Launch Complex: Baikonur LC41/4. LV Family: R-16. Launch Vehicle: R-16U. 1964 Nov - . Launch Site: Teikovo. LV Family: R-16. Launch Vehicle: R-16U. 1964 December 18 - . Launch Site: Baikonur. Launch Complex: Baikonur LC41/3. LV Family: R-16. Launch Vehicle: R-16U. K OT? operational test launch - . Nation: Russia. Agency: RVSN. Apogee: 1,210 km (750 mi). 1964 December 26 - . Launch Site: Baikonur. Launch Complex: Baikonur LC41/3. LV Family: R-16. Launch Vehicle: R-16U. 1965 February 26 - . Launch Site: Baikonur. Launch Complex: Baikonur LC41/3. LV Family: R-16. Launch Vehicle: R-16U. PBG - . Nation: Russia. Agency: RVSN. Apogee: 1,210 km (750 mi). 1965 Mar - . Launch Site: Yurya. LV Family: R-16. Launch Vehicle: R-16U. 1965 March 10 - . Launch Site: Baikonur. Launch Complex: Baikonur LC41/4. LV Family: R-16. Launch Vehicle: R-16U. 1965 March 30 - . Launch Site: Baikonur. Launch Complex: Baikonur LC41/4. LV Family: R-16. Launch Vehicle: R-16U. 1965 April 12 - . Launch Site: Baikonur. Launch Complex: Baikonur LC60/6. LV Family: R-16. Launch Vehicle: R-16U. 1965 April 26 - . Launch Site: Baikonur. Launch Complex: Baikonur LC41/4. LV Family: R-16. Launch Vehicle: R-16U. 1965 April 28 - . Launch Site: Baikonur. Launch Complex: Baikonur LC41/4. LV Family: R-16. Launch Vehicle: R-16U. FAILURE: Failure. Operational test launch - . Nation: Russia. Agency: RVSN. Apogee: 0 km (0 mi). 1965 May 22 - . 06:29 GMT - . Launch Site: Baikonur. Launch Complex: Baikonur LC41/3. LV Family: R-16. Launch Vehicle: R-16U. Military training launch to Kamchatka - . Nation: Russia. Agency: RVSN. Apogee: 920 km (570 mi). 1965 May 28 - . 02:23 GMT - . Launch Site: Baikonur. Launch Complex: Baikonur LC60/6. LV Family: R-16. Launch Vehicle: R-16U. Military training launch to Kamchatka - . Nation: Russia. Agency: RVSN. Apogee: 743 km (461 mi). 1965 June 29 - . Launch Site: Baikonur. Launch Complex: Baikonur LC60/7. LV Family: R-16. Launch Vehicle: R-16U. FAILURE: Failure. Military training launch - . Nation: Russia. Agency: RVSN. Apogee: 0 km (0 mi). 1965 July 21 - . Launch Site: Baikonur. Launch Complex: Baikonur LC60/6. LV Family: R-16. Launch Vehicle: R-16U. 1965 August 31 - . Launch Site: Baikonur. Launch Complex: Baikonur LC60/8. Launch Pad: LC60/8?. LV Family: R-16. Launch Vehicle: R-16U. 1965 September 18 - . Launch Site: Baikonur. Launch Complex: Baikonur LC41/3. LV Family: R-16. Launch Vehicle: R-16U. 1965 September 25 - . Launch Site: Baikonur. Launch Complex: Baikonur LC41/3. LV Family: R-16. Launch Vehicle: R-16U. 1965 September 30 - . Launch Site: Baikonur. Launch Complex: Baikonur LC41/4. Launch Pad: LC41/4?. LV Family: R-16. Launch Vehicle: R-16U. 1965 November 4 - . Launch Site: Teikovo. LV Family: R-16. Launch Vehicle: R-16U. 1965 November 4 - . Launch Site: Baikonur. Launch Complex: Baikonur LC41/3. Launch Pad: LC41/3?. LV Family: R-16. Launch Vehicle: R-16U. 1965 November 12 - . Launch Site: Baikonur. Launch Complex: Baikonur LC41/4. LV Family: R-16. Launch Vehicle: R-16U. 1965 December 1 - . Launch Site: Plesetsk. LV Family: R-16. Launch Vehicle: R-16U. Verification Operational test - . Nation: Russia. Agency: RVSN. Apogee: 1,210 km (750 mi). 1965 Dec - . Launch Site: Plesetsk. LV Family: R-16. Launch Vehicle: R-16U. Test - . Nation: Russia. Agency: RVSN. Apogee: 1,210 km (750 mi). 1965 December 20 - . Launch Site: Teikovo. LV Family: R-16. Launch Vehicle: R-16U. 1965 December 23 - . Launch Site: Baikonur. Launch Complex: Baikonur LC41/4. Launch Pad: LC41/4?. LV Family: R-16. Launch Vehicle: R-16U. 1965 December 25 - . Launch Site: Baikonur. Launch Complex: Baikonur LC41/3. Launch Pad: LC41/3?. LV Family: R-16. Launch Vehicle: R-16U. 1965 December 26 - . Launch Site: Baikonur. Launch Complex: Baikonur LC41/3. LV Family: R-16. Launch Vehicle: R-16U. 1966 - . Launch Site: Plesetsk. LV Family: R-16. Launch Vehicle: R-16U. 1966 January 31 - . Launch Site: Baikonur. Launch Complex: Baikonur LC41/4. LV Family: R-16. Launch Vehicle: R-16U. 1966 March 17 - . Launch Site: Baikonur. Launch Complex: Baikonur LC60/7. LV Family: R-16. Launch Vehicle: R-16U. 1966 March 24 - . Launch Site: Baikonur. Launch Complex: Baikonur LC41/4. LV Family: R-16. Launch Vehicle: R-16U. 1966 March 29 - . Launch Site: Plesetsk. LV Family: R-16. Launch Vehicle: R-16U. 1966 March 30 - . Launch Site: Plesetsk. LV Family: R-16. Launch Vehicle: R-16U. 1966 April 12 - . Launch Site: Baikonur. Launch Complex: Baikonur LC41/4. LV Family: R-16. Launch Vehicle: R-16U. 1966 April 18 - . Launch Site: Baikonur. Launch Complex: Baikonur LC41/4. LV Family: R-16. Launch Vehicle: R-16U. 1966 April 26 - . Launch Site: Baikonur. Launch Complex: Baikonur LC41/4. LV Family: R-16. Launch Vehicle: R-16U. 1966 May 21 - . Launch Site: Baikonur. Launch Complex: Baikonur LC41/3. LV Family: R-16. Launch Vehicle: R-16U. FAILURE: Failure. PBG - . Nation: Russia. Agency: RVSN. Apogee: 0 km (0 mi). 1966 June 4 - . Launch Site: Baikonur. Launch Complex: Baikonur LC41/3. Launch Pad: LC41/3?. LV Family: R-16. Launch Vehicle: R-16U. 1966 June 8 - . Launch Site: Baikonur. Launch Complex: Baikonur LC41/3. Launch Pad: LC41/3?. LV Family: R-16. Launch Vehicle: R-16U. 1966 June 25 - . Launch Site: Baikonur. Launch Complex: Baikonur LC60/7. Launch Pad: LC60/7?. LV Family: R-16. Launch Vehicle: R-16U. Palma-1 Operational test - . Nation: Russia. Agency: RVSN. Apogee: 1,210 km (750 mi). 1966 June 26 - . Launch Site: Baikonur. Launch Complex: Baikonur LC60/7. LV Family: R-16. Launch Vehicle: R-16U. 1966 July 2 - . Launch Site: Teikovo. LV Family: R-16. Launch Vehicle: R-16U. 1966 July 2 - . Launch Site: Baikonur. Launch Complex: Baikonur LC60/8. LV Family: R-16. Launch Vehicle: R-16U. 1966 July 25 - . Launch Site: Plesetsk. LV Family: R-16. Launch Vehicle: R-16U. 1966 August 9 - . Launch Site: Baikonur. Launch Complex: Baikonur LC60/8. LV Family: R-16. Launch Vehicle: R-16U. 1966 August 25 - . Launch Site: Baikonur. Launch Complex: Baikonur LC41/3. Launch Pad: LC41/3?. LV Family: R-16. Launch Vehicle: R-16U. 1966 September 22 - . Launch Site: Baikonur. Launch Complex: Baikonur LC41/4. LV Family: R-16. Launch Vehicle: R-16U. FAILURE: Failure. 1966 September 26 - . Launch Site: Teikovo. LV Family: R-16. Launch Vehicle: R-16U. 1966 September 27 - . Launch Site: Baikonur. Launch Complex: Baikonur LC41/4. LV Family: R-16. Launch Vehicle: R-16U. 1966 October 1 - . Launch Site: Baikonur. Launch Complex: Baikonur LC41/4. LV Family: R-16. Launch Vehicle: R-16U. 1966 October 20 - . Launch Site: Baikonur. Launch Complex: Baikonur LC60/8. LV Family: R-16. Launch Vehicle: R-16U. Palma-2 Operational test - . Nation: Russia. Agency: RVSN. Apogee: 1,210 km (750 mi). 1966 October 22 - . Launch Site: Baikonur. Launch Complex: Baikonur LC60/6. LV Family: R-16. Launch Vehicle: R-16U. 1966 October 28 - . Launch Site: Baikonur. Launch Complex: Baikonur LC41/4. LV Family: R-16. Launch Vehicle: R-16U. 1966 November 1 - . Launch Site: Baikonur. Launch Complex: Baikonur LC41/4. LV Family: R-16. Launch Vehicle: R-16U. 1966 November 4 - . Launch Site: Baikonur. Launch Complex: Baikonur LC41/3. LV Family: R-16. Launch Vehicle: R-16U. 1966 November 17 - . Launch Site: Baikonur. Launch Complex: Baikonur LC41/3. LV Family: R-16. Launch Vehicle: R-16U. 1966 November 24 - . Launch Site: Baikonur. Launch Complex: Baikonur LC41/3. LV Family: R-16. Launch Vehicle: R-16U. 1966 November 26 - . Launch Site: Baikonur. Launch Complex: Baikonur LC41/4. LV Family: R-16. Launch Vehicle: R-16U. 1966 December 3 - . Launch Site: Plesetsk. LV Family: R-16. Launch Vehicle: R-16U. 1966 December 8 - . Launch Site: Baikonur. Launch Complex: Baikonur LC60/7. LV Family: R-16. Launch Vehicle: R-16U. 1966 December 9 - . Launch Site: Baikonur. Launch Complex: Baikonur LC41/4. LV Family: R-16. Launch Vehicle: R-16U. 1966 December 23 - . Launch Site: Baikonur. Launch Complex: Baikonur LC41/4. LV Family: R-16. Launch Vehicle: R-16U. FAILURE: Failure. 1966 December 24 - . Launch Site: Plesetsk. LV Family: R-16. Launch Vehicle: R-16U. 1967 - . Launch Site: Plesetsk. LV Family: R-16. Launch Vehicle: R-16U. Test R-16 Unk67-4 - . Nation: Russia. Agency: RVSN. Apogee: 1,210 km (750 mi). Test R-16 Unk67-11 - . Nation: Russia. Agency: RVSN. Apogee: 1,210 km (750 mi). Test R-16 Unk67-12 - . Nation: Russia. Agency: RVSN. Apogee: 1,210 km (750 mi). Test R-16 Unk67-10 - . Nation: Russia. Agency: RVSN. Apogee: 1,210 km (750 mi). Test R-16 Unk67-13 - . Nation: Russia. Agency: RVSN. Apogee: 1,210 km (750 mi). Test R-16 Unk67-8 - . Nation: Russia. Agency: RVSN. Apogee: 1,210 km (750 mi). Test R-16 Unk67-1 - . Nation: Russia. Agency: RVSN. Apogee: 1,210 km (750 mi). Test R-16 Unk67-7 - . Nation: Russia. Agency: RVSN. Apogee: 1,210 km (750 mi). Test R-16 Unk67-6 - . Nation: Russia. Agency: RVSN. Apogee: 1,210 km (750 mi). Test R-16 Unk67-9 - . Nation: Russia. Agency: RVSN. Apogee: 1,210 km (750 mi). Test R-16 Unk67-14 - . Nation: Russia. Agency: RVSN. Apogee: 1,210 km (750 mi). Test R-16 Unk67-15 - . Nation: Russia. Agency: RVSN. Apogee: 1,210 km (750 mi). 1967? - . Launch Site: Gladkaya. LV Family: R-16. Launch Vehicle: R-16U. Test R-16 Unk67-3 - . Nation: Russia. Agency: RVSN. Apogee: 1,210 km (750 mi). Test R-16 Unk67-2 - . Nation: Russia. Agency: RVSN. Apogee: 1,210 km (750 mi). Test R-16 Unk67-5 - . Nation: Russia. Agency: RVSN. Apogee: 1,210 km (750 mi). 1967 February 22 - . Launch Site: Plesetsk. LV Family: R-16. Launch Vehicle: R-16U. Test R-16 PL67-16 - . Nation: Russia. Agency: RVSN. Apogee: 1,210 km (750 mi). 1967 March 4 - . Launch Site: Baikonur. Launch Complex: Baikonur LC41/3. Launch Pad: LC41/3?. LV Family: R-16. Launch Vehicle: R-16U. Operational missile test - . Nation: Russia. Agency: RVSN. Apogee: 1,210 km (750 mi). 1967 March 22 - . Launch Site: Nizhniy Tagil. LV Family: R-16. Launch Vehicle: R-16U. 1967 March 31 - . Launch Site: Plesetsk. LV Family: R-16. Launch Vehicle: R-16U. Test R-16 PL67-17 - . Nation: Russia. Agency: RVSN. Apogee: 1,210 km (750 mi). 1967 April 22 - . Launch Site: Plesetsk. LV Family: R-16. Launch Vehicle: R-16U. Test R-16 PL67-18 - . Nation: Russia. Agency: RVSN. Apogee: 1,210 km (750 mi). 1967 May 24 - . Launch Site: Baikonur. Launch Complex: Baikonur LC41/3. LV Family: R-16. Launch Vehicle: R-16U. 1967 May 26 - . Launch Site: Plesetsk. LV Family: R-16. Launch Vehicle: R-16U. Test R-16 PL67-19 - . Nation: Russia. Agency: RVSN. Apogee: 1,210 km (750 mi). 1967 June 22 - . Launch Site: Plesetsk. LV Family: R-16. Launch Vehicle: R-16U. Test R-16 PL67-20 - . Nation: Russia. Agency: RVSN. Apogee: 1,210 km (750 mi). 1967 July 3 - . Launch Site: Plesetsk. LV Family: R-16. Launch Vehicle: R-16U. Test R-16 PL67-21 - . Nation: Russia. Agency: RVSN. Apogee: 1,210 km (750 mi). 1967 July 11 - . Launch Site: Baikonur. Launch Complex: Baikonur LC41/4. LV Family: R-16. Launch Vehicle: R-16U. 1967 July 15 - . Launch Site: Baikonur. Launch Complex: Baikonur LC41/4. LV Family: R-16. Launch Vehicle: R-16U. FAILURE: Failure. 1967 July 20 - . Launch Site: Nizhniy Tagil. LV Family: R-16. Launch Vehicle: R-16U. 1967 July 27 - . Launch Site: Plesetsk. LV Family: R-16. Launch Vehicle: R-16U. Test R-16 PL67-22 - . Nation: Russia. Agency: RVSN. Apogee: 1,210 km (750 mi). 1967 August 8 - . Launch Site: Baikonur. Launch Complex: Baikonur LC41/4. LV Family: R-16. Launch Vehicle: R-16U. 1967 August 30 - . Launch Site: Baikonur. Launch Complex: Baikonur LC41/4. LV Family: R-16. Launch Vehicle: R-16U. FAILURE: Failure. 1967 October 2 - . Launch Site: Baikonur. Launch Complex: Baikonur LC41/4. LV Family: R-16. Launch Vehicle: R-16U. 1967 October 3 - . Launch Site: Baikonur. Launch Complex: Baikonur LC60/7. LV Family: R-16. Launch Vehicle: R-16U. 1967 October 9 - . Launch Site: Baikonur. Launch Complex: Baikonur LC41/4. LV Family: R-16. Launch Vehicle: R-16U. 1967 October 13 - . Launch Site: Baikonur. Launch Complex: Baikonur LC41/4. LV Family: R-16. Launch Vehicle: R-16U. 1967 October 26 - . Launch Site: Baikonur. Launch Complex: Baikonur LC41/4. LV Family: R-16. Launch Vehicle: R-16U. 1967 October 27 - . Launch Site: Plesetsk. LV Family: R-16. Launch Vehicle: R-16U. Test R-16 PL67-23 - . Nation: Russia. Agency: RVSN. Apogee: 1,210 km (750 mi). 1967 December 3 - . Launch Site: Plesetsk. LV Family: R-16. Launch Vehicle: R-16U. Test R-16 PL67-24 - . Nation: Russia. Agency: RVSN. Apogee: 1,210 km (750 mi). 1967 December 9 - . Launch Site: Baikonur. Launch Complex: Baikonur LC41/4. LV Family: R-16. Launch Vehicle: R-16U. 1967 December 12 - . Launch Site: Baikonur. Launch Complex: Baikonur LC41/4. LV Family: R-16. Launch Vehicle: R-16U. FAILURE: Failure. 1967 December 22 - . Launch Site: Baikonur. Launch Complex: Baikonur LC41/3. LV Family: R-16. Launch Vehicle: R-16U. 1967 December 27 - . Launch Site: Baikonur. Launch Complex: Baikonur LC41/4. LV Family: R-16. Launch Vehicle: R-16U. FAILURE: Failure. 1968 - . Launch Site: Plesetsk. LV Family: R-16. Launch Vehicle: R-16U. UBP R-16 PL68-11 - . Nation: Russia. Agency: RVSN. Apogee: 1,210 km (750 mi). UBP R-16 PL68-17 - . Nation: Russia. Agency: RVSN. Apogee: 1,210 km (750 mi). UBP R-16 PL68-16 - . Nation: Russia. Agency: RVSN. Apogee: 1,210 km (750 mi). UBP R-16 PL68-15 - . Nation: Russia. Agency: RVSN. Apogee: 1,210 km (750 mi). UBP R-16 PL68-14 - . Nation: Russia. Agency: RVSN. Apogee: 1,210 km (750 mi). UBP R-16 PL68-13 - . Nation: Russia. Agency: RVSN. Apogee: 1,210 km (750 mi). UBP R-16 PL68-12 - . Nation: Russia. Agency: RVSN. Apogee: 1,210 km (750 mi). UBP R-16 PL68-18 - . Nation: Russia. Agency: RVSN. Apogee: 1,210 km (750 mi). UBP R-16 PL68-07 - . Nation: Russia. Agency: RVSN. Apogee: 1,210 km (750 mi). UBP R-16 PL68-10 - . Nation: Russia. Agency: RVSN. Apogee: 1,210 km (750 mi). UBP R-16 PL68-08 - . Nation: Russia. Agency: RVSN. Apogee: 1,210 km (750 mi). UBP R-16 PL68-06 - . Nation: Russia. Agency: RVSN. Apogee: 1,210 km (750 mi). UBP R-16 PL68-05 - . Nation: Russia. Agency: RVSN. Apogee: 1,210 km (750 mi). UBP R-16 PL68-04 - . Nation: Russia. Agency: RVSN. Apogee: 1,210 km (750 mi). UBP R-16 PL68-03 - . Nation: Russia. Agency: RVSN. Apogee: 1,210 km (750 mi). UBP R-16 PL68-02 - . Nation: Russia. Agency: RVSN. Apogee: 1,210 km (750 mi). 1968? - . Launch Site: Gladkaya. LV Family: R-16. Launch Vehicle: R-16U. UBP R-16 PL68-01 - . Nation: Russia. Agency: RVSN. Apogee: 1,210 km (750 mi). 1968 - . Launch Site: Baikonur. LV Family: R-16. Launch Vehicle: R-16U. UBP R-16 PL68-09 - . Nation: Russia. Agency: RVSN. Apogee: 1,210 km (750 mi). 1968 January 19 - . Launch Site: Plesetsk. LV Family: R-16. Launch Vehicle: R-16U. UBP R-16 PL68-19 - . Nation: Russia. Agency: RVSN. Apogee: 1,210 km (750 mi). 1968 April 16 - . Launch Site: Plesetsk. LV Family: R-16. Launch Vehicle: R-16U. UBP R-16 PL68-20 - . Nation: Russia. Agency: RVSN. Apogee: 1,210 km (750 mi). 1968 May 25 - . Launch Site: Plesetsk. LV Family: R-16. Launch Vehicle: R-16U. UBP R-16 PL68-21 - . Nation: Russia. Agency: RVSN. Apogee: 1,210 km (750 mi). 1968 June 30 - . Launch Site: Nizhniy Tagil. LV Family: R-16. Launch Vehicle: R-16U. 1968 July 16 - . Launch Site: Baikonur. LV Family: R-16. Launch Vehicle: R-16U. FAILURE: Failure. 1968 August 13 - . Launch Site: Plesetsk. LV Family: R-16. Launch Vehicle: R-16U. UBP R-16 PL68-22 - . Nation: Russia. Agency: RVSN. Apogee: 1,210 km (750 mi). 1968 December 20 - . Launch Site: Plesetsk. LV Family: R-16. Launch Vehicle: R-16U. UBP R-16 PL68-23 - . Nation: Russia. Agency: RVSN. Apogee: 1,210 km (750 mi). 1969 - . Launch Site: Baikonur. LV Family: R-16. Launch Vehicle: R-16U. 1969? - . Launch Site: Gladkaya. LV Family: R-16. Launch Vehicle: R-16U. 1969 - . Launch Site: Plesetsk. LV Family: R-16. Launch Vehicle: R-16U. UBP R-16 PL69-01 - . Nation: Russia. Agency: RVSN. Apogee: 1,210 km (750 mi). UBP R-16 PL69-02 - . Nation: Russia. Agency: RVSN. Apogee: 1,210 km (750 mi). UBP R-16 PL69-03 - . Nation: Russia. Agency: RVSN. Apogee: 1,210 km (750 mi). 1969 January 18 - . Launch Site: Plesetsk. LV Family: R-16. Launch Vehicle: R-16U. UBP R-16 PL69-04 - . Nation: Russia. Agency: RVSN. Apogee: 1,210 km (750 mi). 1969 March 27 - . Launch Site: Plesetsk. LV Family: R-16. Launch Vehicle: R-16U. UBP R-16 PL69-05 - . Nation: Russia. Agency: RVSN. Apogee: 1,210 km (750 mi). 1969 June 12 - . Launch Site: Nizhniy Tagil. LV Family: R-16. Launch Vehicle: R-16U. 1969 August 31 - . Launch Site: Plesetsk. LV Family: R-16. Launch Vehicle: R-16U. UBP R-16 PL69-06 - . Nation: Russia. Agency: RVSN. Apogee: 1,210 km (750 mi). 1969 September 2 - . Launch Site: Plesetsk. LV Family: R-16. Launch Vehicle: R-16U. UBP R-16 PL69-07 - . Nation: Russia. Agency: RVSN. Apogee: 1,210 km (750 mi). 1969 October 28 - . Launch Site: Plesetsk. LV Family: R-16. Launch Vehicle: R-16U. UBP R-16 PL69-08 - . Nation: Russia. Agency: RVSN. Apogee: 1,210 km (750 mi). 1969 November 24 - . Launch Site: Plesetsk. LV Family: R-16. Launch Vehicle: R-16U. UBP R-16 PL69-09 - . Nation: Russia. Agency: RVSN. Apogee: 1,210 km (750 mi). 1970 - . Launch Site: Baikonur. LV Family: R-16. Launch Vehicle: R-16U. 1970 - . Launch Site: Plesetsk. LV Family: R-16. Launch Vehicle: R-16U. UBP R-16 PL70-07 - . Nation: Russia. Agency: RVSN. Apogee: 1,210 km (750 mi). UBP R-16 PL70-05 - . Nation: Russia. Agency: RVSN. Apogee: 1,210 km (750 mi). UBP R-16 PL70-04 - . Nation: Russia. Agency: RVSN. Apogee: 1,210 km (750 mi). UBP R-16 PL70-03 - . Nation: Russia. Agency: RVSN. Apogee: 1,210 km (750 mi). UBP R-16 PL70-02 - . Nation: Russia. Agency: RVSN. Apogee: 1,210 km (750 mi). UBP R-16 PL70-01 - . Nation: Russia. Agency: RVSN. Apogee: 1,210 km (750 mi). UBP R-16 PL70-06 - . Nation: Russia. Agency: RVSN. Apogee: 1,210 km (750 mi). UBP R-16 PL70-09 - . Nation: Russia. Agency: RVSN. Apogee: 1,210 km (750 mi). UBP R-16 PL70-08 - . Nation: Russia. Agency: RVSN. Apogee: 1,210 km (750 mi). 1970 March 27 - . Launch Site: Plesetsk. LV Family: R-16. Launch Vehicle: R-16U. UBP R-16 PL70-10 - . Nation: Russia. Agency: RVSN. Apogee: 1,210 km (750 mi). 1970 June 25 - . Launch Site: Plesetsk. LV Family: R-16. Launch Vehicle: R-16U. UBP R-16 PL70-11 - . Nation: Russia. Agency: RVSN. Apogee: 1,210 km (750 mi). 1971 - . Launch Site: Baikonur. LV Family: R-16. Launch Vehicle: R-16U. 1971 - . Launch Site: Plesetsk. LV Family: R-16. Launch Vehicle: R-16U. UBP R-16 PL71-01 - . Nation: Russia. Agency: RVSN. Apogee: 1,210 km (750 mi). 1971 February 3 - . Launch Site: Plesetsk. LV Family: R-16. Launch Vehicle: R-16U. UBP R-16 PL71-02 - . Nation: Russia. Agency: RVSN. Apogee: 1,210 km (750 mi). 1971 June 29 - . Launch Site: Plesetsk. LV Family: R-16. Launch Vehicle: R-16U. UBP R-16 PL71-03 - . Nation: Russia. Agency: RVSN. Apogee: 1,210 km (750 mi). 1971 July 15 - . Launch Site: Plesetsk. LV Family: R-16. Launch Vehicle: R-16U. UBP R-16 PL71-04 - . Nation: Russia. Agency: RVSN. Apogee: 1,210 km (750 mi). 1971 August 16 - . Launch Site: Plesetsk. LV Family: R-16. Launch Vehicle: R-16U. UBP R-16 PL71-05 - . Nation: Russia. Agency: RVSN. Apogee: 1,210 km (750 mi). 1971 August 25 - . Launch Site: Plesetsk. LV Family: R-16. Launch Vehicle: R-16U. UBP R-16 PL71-06 - . Nation: Russia. Agency: RVSN. Apogee: 1,210 km (750 mi). 1972 - . Launch Site: Plesetsk. LV Family: R-16. Launch Vehicle: R-16U. UBP R-16 PL72-08 - . Nation: Russia. Agency: RVSN. Apogee: 1,210 km (750 mi). UBP R-16 PL72-07 - . Nation: Russia. Agency: RVSN. Apogee: 1,210 km (750 mi). UBP R-16 PL72-06 - . Nation: Russia. Agency: RVSN. Apogee: 1,210 km (750 mi). UBP R-16 PL72-02 - . Nation: Russia. Agency: RVSN. Apogee: 1,210 km (750 mi). UBP R-16 PL72-03 - . Nation: Russia. Agency: RVSN. Apogee: 1,210 km (750 mi). UBP R-16 PL72-04 - . Nation: Russia. Agency: RVSN. Apogee: 1,210 km (750 mi). UBP R-16 PL72-05 - . Nation: Russia. Agency: RVSN. Apogee: 1,210 km (750 mi). UBP R-16 PL72-01 - . Nation: Russia. Agency: RVSN. Apogee: 1,210 km (750 mi). 1972 - . Launch Site: Baikonur. LV Family: R-16. Launch Vehicle: R-16U. 1972 January 20 - . Launch Site: Plesetsk. LV Family: R-16. Launch Vehicle: R-16U. UBP R-16 PL72-09 - . Nation: Russia. Agency: RVSN. Apogee: 1,210 km (750 mi). 1972 March 23 - . Launch Site: Gladkaya. LV Family: R-16. Launch Vehicle: R-16U. 1972 April 18 - . Launch Site: Plesetsk. LV Family: R-16. Launch Vehicle: R-16U. UBP R-16 PL72-10 - . Nation: Russia. Agency: RVSN. Apogee: 1,210 km (750 mi). 1972 June 29 - . Launch Site: Yurya. LV Family: R-16. Launch Vehicle: R-16U. 1972 August 17 - . Launch Site: Plesetsk. LV Family: R-16. Launch Vehicle: R-16U. UBP R-16 PL72-11 - . Nation: Russia. Agency: RVSN. Apogee: 1,210 km (750 mi). 1973 - . Launch Site: Plesetsk. LV Family: R-16. Launch Vehicle: R-16U. UBP R-16 PL73-01 - . Nation: Russia. Agency: RVSN. Apogee: 1,210 km (750 mi). UBP R-16 PL73-02 - . Nation: Russia. Agency: RVSN. Apogee: 1,210 km (750 mi). 1973 April 25 - . Launch Site: Yurya. LV Family: R-16. Launch Vehicle: R-16U. 1973 May 29 - . Launch Site: Plesetsk. LV Family: R-16. Launch Vehicle: R-16U. UBP R-16 PL73-03 - . Nation: Russia. Agency: RVSN. Apogee: 1,210 km (750 mi). 1973 October 30 - . Launch Site: Plesetsk. LV Family: R-16. Launch Vehicle: R-16U. UBP R-16 PL73-04 - . Nation: Russia. Agency: RVSN. Apogee: 1,210 km (750 mi). 1974 - . Launch Site: Plesetsk. LV Family: R-16. Launch Vehicle: R-16U. UBP R-16 PL74-01 - . Nation: Russia. Agency: RVSN. Apogee: 1,210 km (750 mi). UBP R-16 PL74-02 - . Nation: Russia. Agency: RVSN. Apogee: 1,210 km (750 mi). 1975? - . Launch Site: Dombarovskiy. LV Family: R-16. Launch Vehicle: R-16U. 1975? - . Launch Site: Drovyanaya. LV Family: R-16. Launch Vehicle: R-16U. 1975 July 2 - . Launch Site: Nizhniy Tagil. LV Family: R-16. Launch Vehicle: R-16U. 1975 July 23 - . Launch Site: Yurya. LV Family: R-16. Launch Vehicle: R-16U. 1975 August 27 - . Launch Site: Nizhniy Tagil. LV Family: R-16. Launch Vehicle: R-16U. 1976? - . Launch Site: Dombarovskiy. LV Family: R-16. Launch Vehicle: R-16U. 1976? - . Launch Site: Drovyanaya. LV Family: R-16. Launch Vehicle: R-16U.